If you're a cat owner, preparing for an emergency should also include making a cat first aid kit. Find out what you should include so you'll be ready for any injury or illness your cat may experience. While this list is extensive, you can certainly pick and choose the items that will be most necessary for your family and cat(s). You can also purchase a ready-made kit, such as the 75-piece Pet First Aid Kit. Cats' normal body temperature is 98 to 102.5 Fahrenheit - take your cat's temperature under normal conditions to get a baseline for comparison in case s/he gets sick or injured. 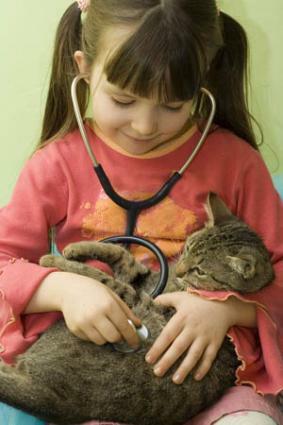 Contact a vet if your cat's temperature is over 102.5 Fahrenheit. Do not give your cat aspirin, acetaminophen or ibuprofen - since aspirin and other pain relievers can be toxic to any pet, consult your vet and first aid books.